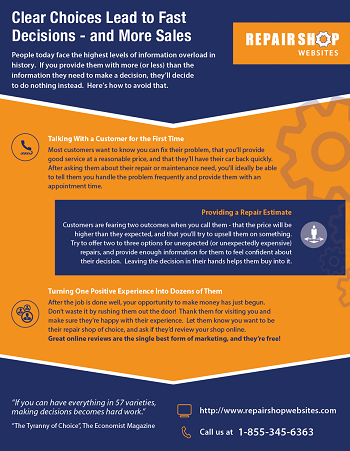 People today face the highest levels of information overload in history. If you provide them with more (or less) than the information they need to make a decision, they’ll decide to do nothing instead. Click here to learn how to avoid that. 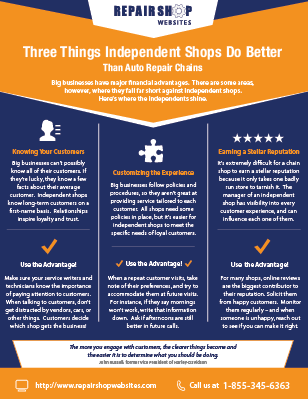 Most customers don’t know a “good price” for vehicle repair and maintenance. However, they are looking at signals you are sending through your marketing to determine whether to push back against the price that you quote them. 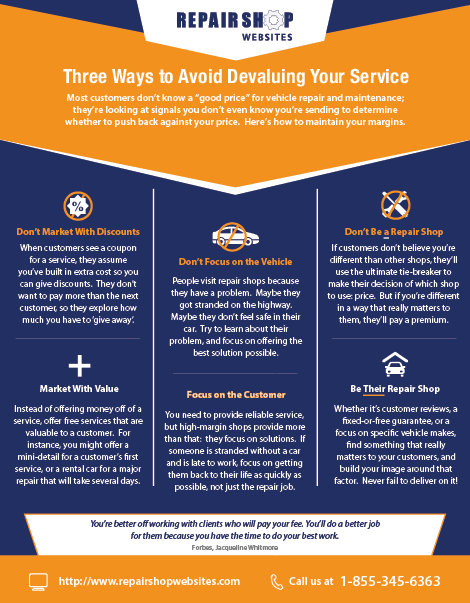 Click here for three ways to maintain your margins. 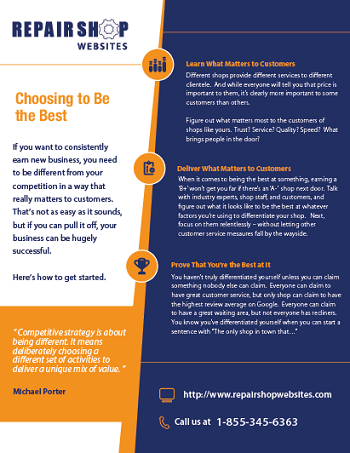 If you want to be the best auto repair shop in town, you need to be different from your competition in a way that really matters to customers. That’s not as easy as it sounds, but if you can pull it off, your business can be hugely successful. 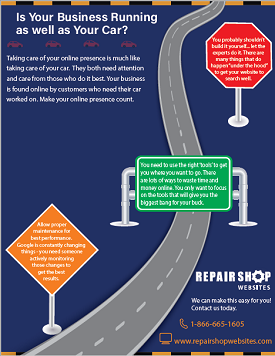 Check out this infographic to learn how to do just that.